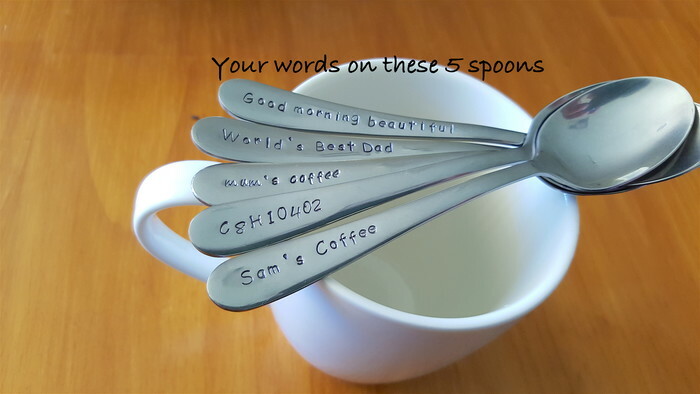 5x custom teaspoon with text of your choice. To let me know your choice of text put it in the "note to seller" box that appears at the end of checkout. 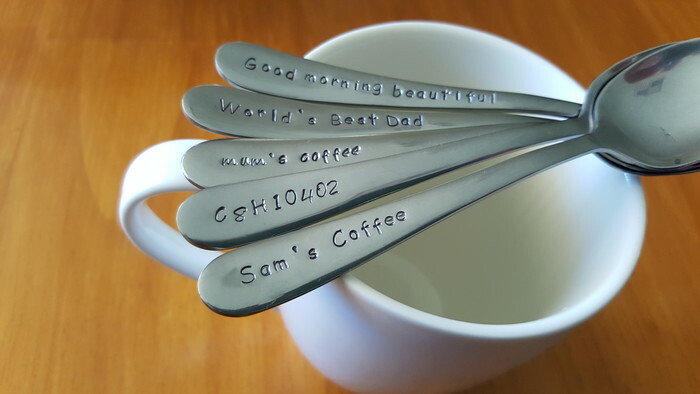 Personally hand stamped on a NEW STAINLESS STEEL TEASPOON.